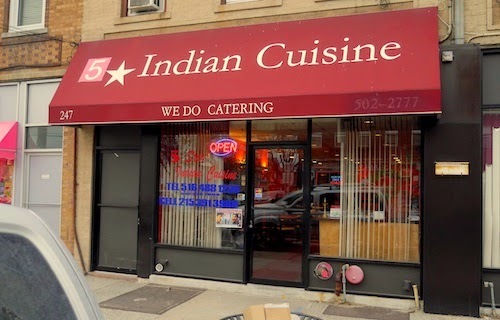 Depending on what you look at, 5 Star offers either Indian or South Indian cuisine. 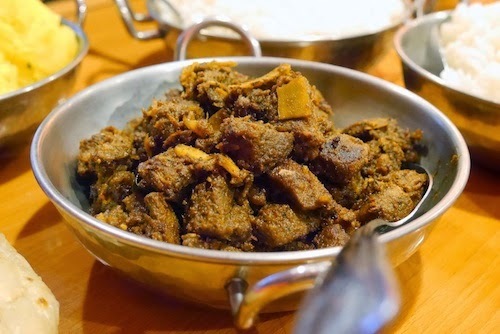 While some northern items do pepper their menu, they specialize in southern with an angle towards the backwater state of Kerala, definitely the reason to seek out the place. At 4pm on a weekend, the remnants of the lunch buffet are still showing, but the all you can eat weekend event is over. For the better though, as far as I know the Keralan food does not feature here. 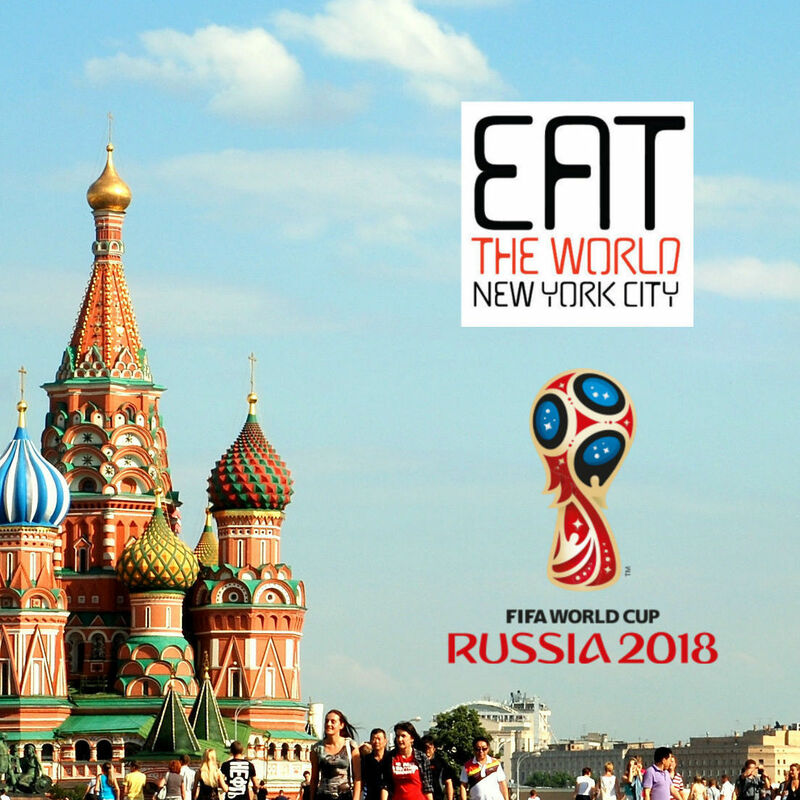 Grab a table, ask about any specials, and get prepared for a feast. 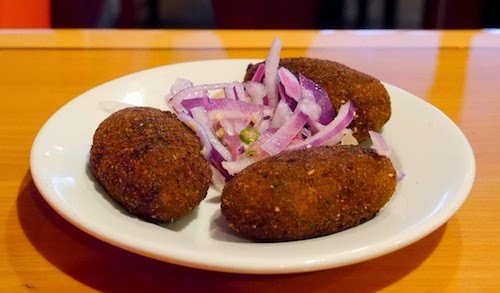 Our first offering was something we spied in great quantity on catering trays being prepared for an event in the evening that the restaurant was providing food for, which they called simply "cutlet." These deep fried pieces ($1 each, below) beat any appetizer we may have ordered otherwise, especially with the nice onion sauce that accompanied them. 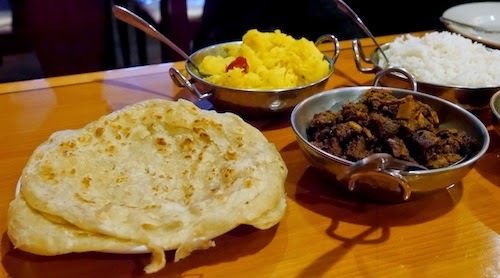 Naan is a northern thing, so make sure your table has plenty of porotha ($1 each, below) for gathering up your meats and vegetables. In the background below is the kappa ($6.95), a dish of boiled yuca that we might pass on during our next meal. The beef ularth ($11.95, below) sounds delectable but is held back by its dryness. The dish of beef cubes are pan friend in red onions and coconut, but would do better in a sauce. 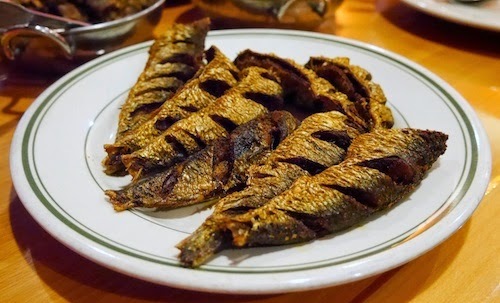 A staple of coastal Kerala is of course fish, and we were recommended the mathi fry ($10 for 8 pieces, below), a plate of sardines that had an oily goodness in each bite. 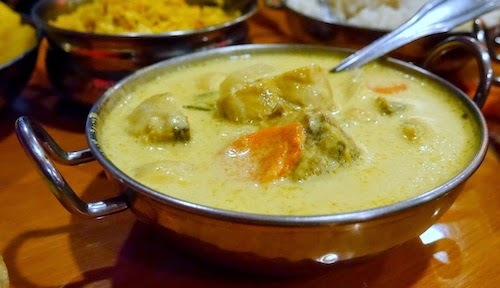 Our other fish dish was the fish curry ($12.95, below), which tasted heavily of coconut milk and was very smooth. We all liked it a lot but could only handle so much since it was very rich. It requires a good helping of rice. 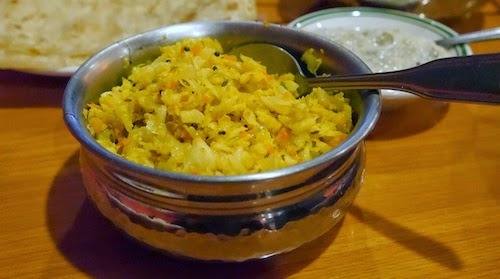 My experience with thoran ($6.95, below) has always been positive in Keralan restaurants and I was eager to order one here. 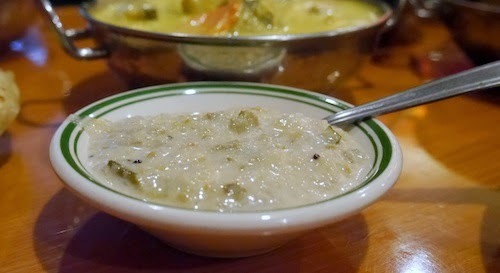 Thoran can be prepared with a variety of vegetables and is mixed with an assortment of mustard seeds, curry leaves and turmeric. After all our entrees arrived, we were presented with a small dish of mango chutney (below) that tasted slightly bitter and sour but was absolutely delightful to scoop up with the porotha. Our server called it pachadi, and upon further investigation, this is a Keralan-style chutney that was completely new to me. As far as I can tell, this is not on the menu, but I recommend asking for it if you can. 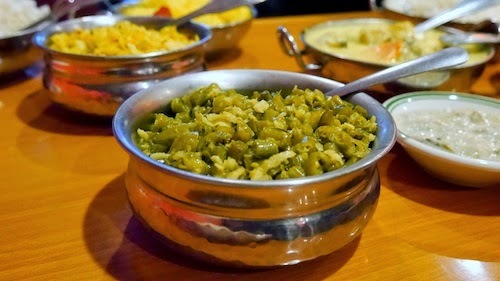 Compliments of the house, we were also served another thoran (below) of green beans, which was even more delicious than the first. 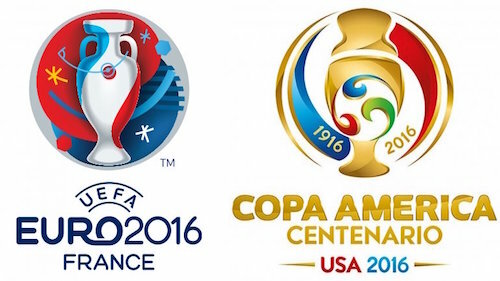 Both of these go superbly with the white rice that comes out for the table. With time to spare on our lazy weekend, we were not quite anxious to leave and enjoyed at least the first half of Chennai Express, one of the highest grossing films from India and apparently known line for line by everyone working here.